From Europe’s 1989 in reverse to how neoliberalism came to be, here are this week’s top picks in imperial and global history. The walls are going up all over Europe. In Hungary, they take the physical form of razor and barbed wire fences, like much of the old iron curtain. In France, Germany, Austria and Sweden, they are border controls temporarily reimposed, within the border-free Schengen area. And everywhere in Europe there are the mind walls, growing higher by the day. Their psychological mortar mixes totally understandable fears – after massacres perpetrated in Paris by people who could skip freely to and fro across the frontier to Belgium – with gross prejudice, stirred up by xenophobic politicians and irresponsible journalists. In the wake of the #ParisAttacks earlier this month, lots of think pieces emerged that tried to make sense of the vile acts that took the lives of 130 people on terraces and in the Bataclan concert hall. Two competing narratives emerged: one emphasizes how the French way of life with its universal republican values was attacked, another – less publicized – explanation focuses on the tormented legacy of Frenchcolonialism in Algeria. However, it is only by unpacking the complexities that tie both narratives together that we can begin to understand the position of the Paris attacks within the international history of the 20th and 21th century. […] Recent analyses by commentators for the BBC, The Independent and The Guardian are all the more troubling precisely because they are presented as expert knowledge, rather than rabid ranting. 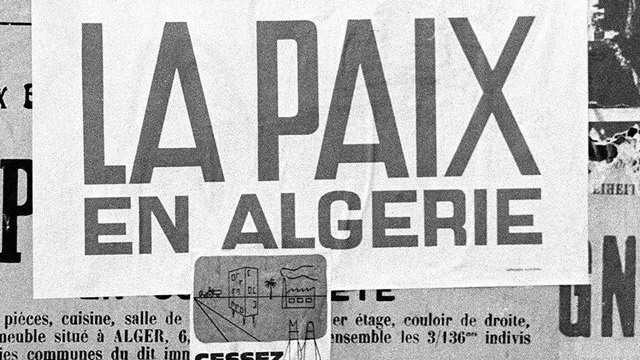 They are all the more deceptively authoritative because snippets of factual information are embedded within them: Fisk, for example, points out that contrary to widely made claims that the 13 November attacks had provoked the highest death toll in France since the Second World War, on 17 October 1961, up to 200 Algerian peacefully demonstrating in Paris in favour of independence were killed by the French police. But although this reference to the past might be factual, his frame of “unfinished war” to read the present is highly questionable and deeply problematic. I have just returned from an enjoyable week in Wrocław, where I was advancing a research project on provincial cultural life in the Third Reich by examining records held in the state archives there. As always on such trips, I spent most of my time in the archive; however, in lunch breaks and in the evenings I was able to stroll the town, visiting a couple of museums and churches, taking in a trip to the theatre, and generally getting a feel for the place. Supporters of the National-Radical Camp (ONR) and the All-Polish Youth demonstrate against refugees in Wroclaw, Poland, Nov. 18, 2015. Image courtesy of Slate. A specter is haunting the academy—the specter of neoliberalism. In response to assaults on racial, gender, and economic equality, scholars from multiple disciplines are turning to neoliberalism as the culprit. Timelines and definitions vary, but essentially the idea is this: after 1945, a social democratic consensus reigned across the Atlantic world. The sacrifices of the war engendered a sense of common purpose, and states invested in the infrastructural and educational demands of the citizenry to build highways, railroads, public universities, and other goods. In the 1970s and 1980s, however, this consensus fractured amid stubborn economic depression and the increasing radicalism of the student movement.